Pro Evolution Soccer is a franchise that Konami held onto for decades now. 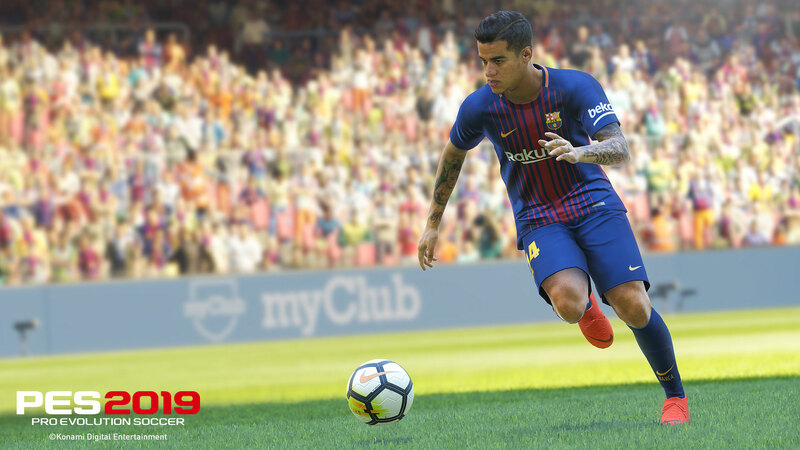 While EA’s FIFA gets the spotlight most of the time, this newest entry of Konami’s football lineup, PES 2019, comes in with a load of mixed bag criticisms across all other critics. Some find the gameplay intriguing and enjoyable, while others see PES 2019’s other game modes disappointing. However, I find both gameplay and its modes (some, really) fun. Even in online mode (provided the player base isn’t as FIFA 2019), the state of being thrilled exists. Playing in the massive field of iconic stadiums with famous teams from Barcelona and Manchester with balls flying, realistic character animations, and the impact when someone kicks the ball to shoot it makes people simply jump in excitement. It’s tad slower than what you experience in other football games, this aims for a more realistic direction than an arcadey feel. You get to feel how heavy some players move from point A to point B, sometimes you feel like you have to drag the controller just to make the players move faster (in mind). The feeling can be overwhelming at times, but when you’re familiar with PES’s mechanics you’ll get to feel that everything runs smoothly in each match. But if you’re looking for a place to show your skills as a football player in the video-game world, playing against A.Is wouldn’t be enough – even if those enemy computers are great in higher difficulties. Online mode is going to be your choice when you want to dive into the competitive scene. You will have couple of modes to select such as 11 vs. 11 team play or partner up with a friend to play co-op. While this is pretty standard for football video-games and all these modes are engaging, I can’t help but bear with the connectivity issues when you play against other players. I have a 50Mbps fiber connection but it seems that delays and a couple of disconnects from the lobby (even the whole match) happen frequently. It’s probably because these other players are located in Hong Kong or in Singapore, but other games like Ace Combat 7: Skies Unknown and Battlefield V didn’t have same problem online. I end up playing local with some of my buddies instead. Frustrating, really. But if it’s something that would definitely annoys you, read online casino guides at BettingTop10, find best casino choice for you, and relax spending more time to get that infuriating feeling out from your system. In the end, PES 2019 does have its own setbacks but it’s not something that would ruin the entire experience. It’s still a football game worth your time but probably on a different platform, not on Xbox One.